Master blender Manuel Inoa comes away with the “Cigar Personality of the Year” award. 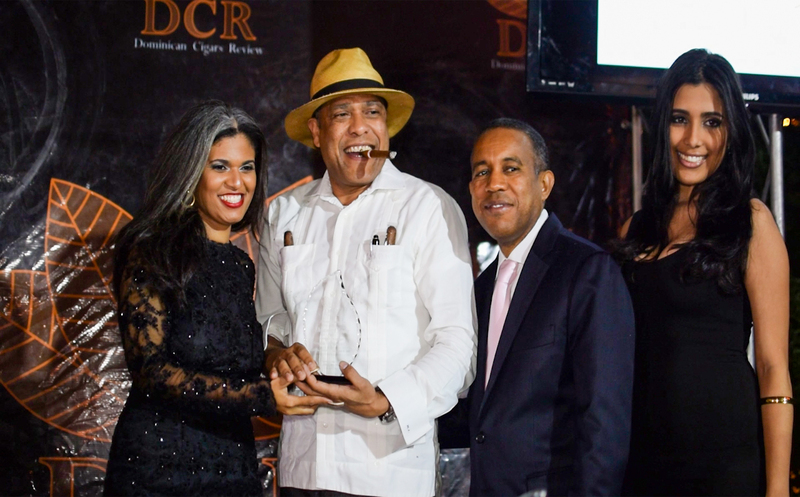 (Miami, Florida) December 16, 2015 – The Dominican Cigar Review, noted as the most important cigar magazine in the Dominican Republic, presented the third annual Dominican Cigar Review Award with La Aurora taking home top honors in two categories. 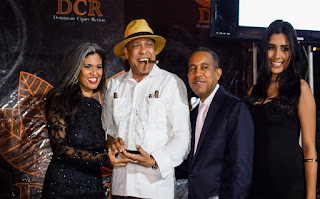 The Dominican Cigar Review Awards ceremony brings together journalists, celebrated industry authorities, manufacturers etc. to celebrate and award the best of the best in the tobacco industry. La Aurora proudly accepted the award for “Best Factory Tour” and La Aurora’s Master Blender, Manuel Inoa accepted the “Cigar Personality of the Year” award. Master Blender Manuel Inoa, with La Aurora since 1996, is recognized globally as an ambassador of not only La Aurora, but of the cigar industry as a whole. Inoa’s experience in tobacco encompasses more than three decades. This isn’t the first time Inoa was recognized. The Dominican Cigar Review also noted Untamed, which was awarded Best Dominican Cigar in 2014. The “Best Factory Tour” award is very dear to Guillermo Leon. It represents his heritage, and the legacy of his forefathers, while educating the public, about the delicate process to produce handmade premium cigars. The La Aurora Factory tour was also voted, as the number one attraction in the city of Santiago, by Trip Advisor. Founded in 1903 by the Leon Family, La Aurora is the original cigar factory in the Dominican Republic with a portfolio that includes its namesake brands, La Aurora and Leon Jimenes, as well as, La Aurora Preferidos, Guillermo Leon & Fernando Leon brands. Miami Cigar & Co. proudly celebrates its 25th Year in the cigar industry. Founded by Nestor and Mariana Miranda, Miami Cigar & Co. has become one of the premier distributors of premium cigars boasting a portfolio which includes Tatiana, Don Lino and the Nestor Miranda brands. Miami Cigar &Co. also serves as the exclusive United States distributor for La Aurora, S.A and all Viva Republica brands. (Miami, Florida) December 7, 2015— A.J. Fernandez Cigars, recognized for creating some of the most acclaimed cigars in the industry, announces that managing partner, Kris Kachaturian will soon retire and shift into an advisory role for the brand. Kachaturian will continue in day to day operations for the time being, to ensure a smooth transition. A.J. Fernandez and family will now oversee distribution of the A.J. Fernandez Cigar brand. The U.S. distribution center will also move to a new location at 2695 West 81st Street Hialeah, FL 33016. A.J. Fernandez Cigars exploded onto the scene with the popular and innovative San Lotano Oval. A.J Fernandez later introduced New World which attained the 2014 Number 1 Cigar of the year by the expert tasting panel at Cigar Journal. A.J. Fernandez recently unveiled his newest creation, Enclave, at the 2015 IPCPR in New Orleans.